I've loved looking at the end of the year roundups on many of the sewing blogs, all the finished goods that the very skilled makers created in 2014. And though it's already the beginning of 2015, I've done a roundup, too, over on Knitting in the Fastlane from the fabric construction perspective (as opposed to sewing construction). The post here on Crafting Fashion instead is about forward looking. I'm definitely making progress on the very Big project that I wrote about way back in October. I hope that as things move ahead I'll be able to keep everyone informed via this blog and social media. Posting opportunities may be limited at times, but I'm immensely excited about the fabrics I'm developing and am already imagining the next group. If you've enjoyed working with (or viewing on the blog) some of the custom knit fabrics I've produced, I hope you'll enjoy hearing about my new adventure scaling up a bit and getting my newest fabrics knitted off premises, but still knitted locally. Yes, locally! Not halfway around the world, not even halfway across the country. More to come. 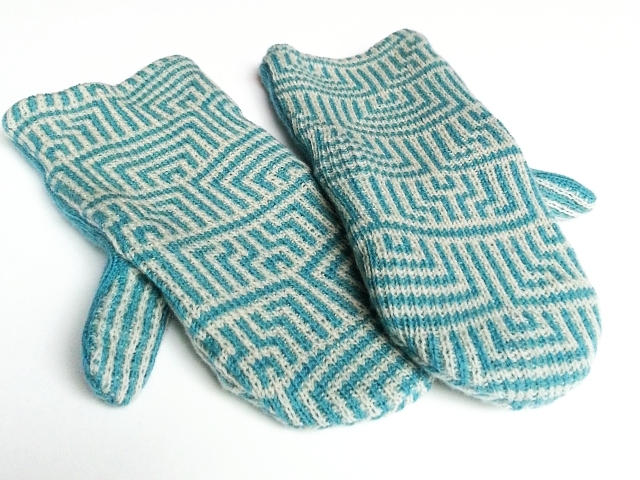 My 2014 roundup over on Knitting in the Fastlane begins with these mittens. Please click through to see more. 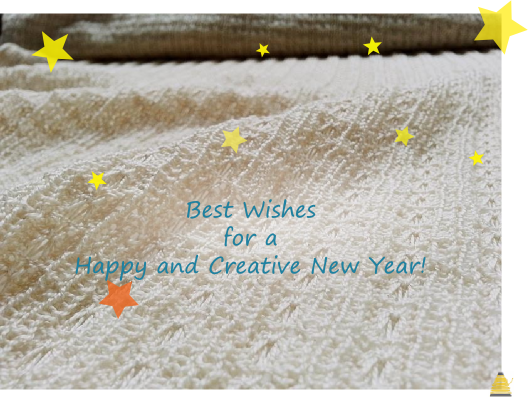 I hope that 2015 is a happy, healthy and productive year for all of you! Such pretty mittens! Good luck with the Very Big Project. Thank you, Chuleenan! An update on the vBp is coming with the next post.